Fraud stinks. It's irritating and unfortunate for all parties involved, unless, of course, you're the person committing the fraud. For those of us that tread on the right side of the tracks, though, fraud is heartbreaking. Investigations have to occur, transactions get disputed, and, worst of all, charge-backs happen. Fraudulent orders can be a double whammy to ecommerce store owners. There are times where you lose your merchandise and the money in such scenarios. It doesn't take a rocket scientist to determine that losing merch and money is a heavy blow to your sales revenue. Naturally, you'll want to avoid this. Spotting fraudulent orders is tricky and is an inexact science because sometimes the tell-tale signs to watch for could simply be mistakes that true-born consumers make. That being said, it doesn't mean that you should ignore them. You should employ rigorous standards no matter what. Your customers, and your profit margin, will thank you. To help you out a bit, I've composed a brief list of some ways that you can possibly reduce fraudulent orders. Without these services, ecommerce would be in trouble. Having this kind of system is crucial and if you're not using one, then you had better get on it. Address Verification Services validate the consumers information. They match what is entered into your site with what the customer has on file with their banking institution. If the information doesn't match, the order gets rejected. You can stop many fraudulent orders in their tracks with this kind of software. Oftentimes, the person committing fraud doesn't have access to all the pertinent information needed to complete the order and will try to skate by. As long as you have these services, you'll cut down a decent amount of fraudulent orders. You've probably encountered issues with orders where the billing and shipping don't match. This is true for both the consumer and the thief. 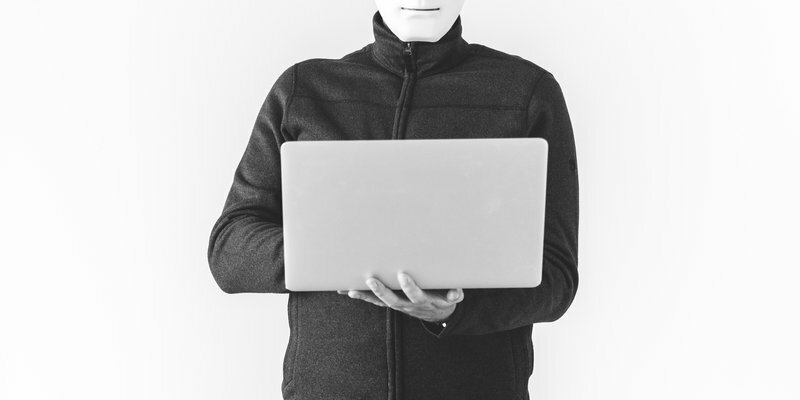 In the event that a person committing fraud was able to get past your address verification service because they had all of the pertinent information, they will try to differentiate between the billing and the shipping address. When the billing and shipping address don't match, sometimes it can be a red flag and the shipping process can get delayed. Yes, there will be legitimate times where the shipping and billing don't match, but it's still something to pay attention to. Look at the distance between the billing and shipping. If the distance is pretty far from the billing address, it's worth looking into. The closer the billing, shipping, and IP addresses are to each other, the better. People committing fraud are not likely to ship their stolen goods near or to the billing address because they need a way to obtain the merchandise safely. This is almost always a dead giveaway. People committing fraud are trying to get as much bang for [your] buck as possible. While the average consumer is significantly more conscientious of their spending, the thief is not. They have no care for the funds they've stolen. For them, it's go big or go home. Because of this, you'll likely see large purchases. Whether it's the fact that they bought several items that were really expensive to begin with, or they purchased multiple items that added up, you can't miss these transactions. The ecommerce store owner should always go over these purchases with a fine tooth comb. The higher the cost, the higher the loss. Consumers want their products and they want it yesterday. This goes for legit consumers and fraudulent consumers alike. In fact, one could argue that fraudulent consumers want it more quickly than that. The sooner they have the product in their hand, the less likely it is that they will get caught. Be sure to monitor orders that select the quickest shipping options. Sure, it could be a consumer who is just SO excited for her items, or it could be the thief who wants to snag his merchandise from you before you have a chance to cancel the order. This can come in handy in situations pertaining to fraudulent orders. People who commit fraud for a living know that their IP addresses can be tracked. To avoid this, they tend to utilize software that masks their true IP address so as not to raise any red flags on your site. But I'm here to tell you that there are ways around that. There is technology out there that can help you determine if a consumer is trying to hide their IP address. If you discover that their IP isn't true, they're likely committing fraud. In a perfect world, there would be no fraudulent orders and no need to reduce them. Unfortunately, we do not inhabit such a place, so we have to make do with what we have. Taking these precautions may not eliminate the issue for you entirely, but it will certainly diminish it. You may anger some customers a few times, but better they be angry at you for being cautious than be angry at you for not spotting the fake. It is imperative that you make sure that you take the necessary steps to, not only ensure your success, but your customer's safety. In doing so, you will increase the customer's confidence in your site. And it's just cyclical (in a good way) from there. Don't be afraid to step on toes, especially if you know the order is fraudulent. After all, the fraudulent party is only looking out for themselves. You shouldn't be afraid to do the same.